This month's employee spotlight shines on Mason McGlothlin! 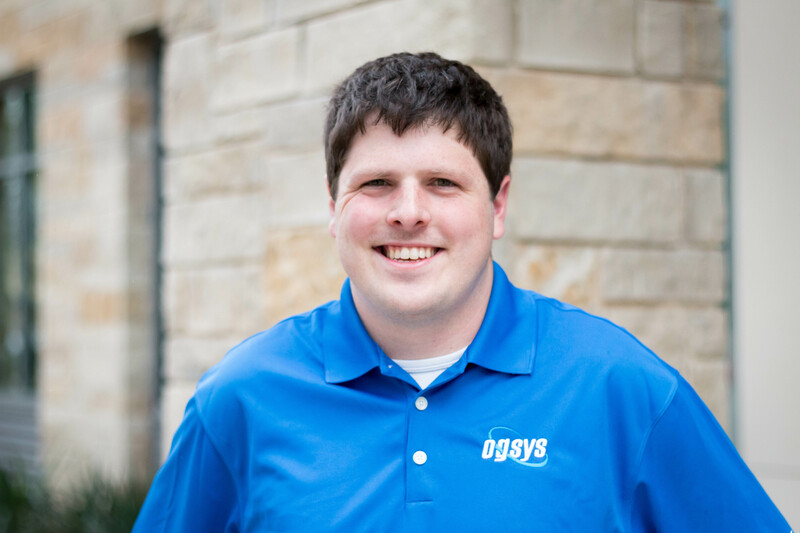 Mason has been with OGsys for about 6 months, and before that was a business analyst for a defense contractor in Fort Worth. A software developer, Mason and his team are currently working on the reporting tool for the new software offering for OGsys. Mason’s job includes working with the Customer Service team, discussing new features to find out how they should be implemented. Customer Service hears directly from the customers about features customers want and what they want those features to do, and how they want the features to work for them. Mason and the development teams write the code, show the prototype to the CSRs who test the feature, and let the developers know of any changes that need to be made in order to fulfill the customers’ needs and wishes. Mason says he is working with a great development team, and they have a lot of creative freedom to add new features and find out how they work for the clients.